The mayor of Wolfratshausen plans to do away with a 400-year-old Alpine Christmas tradition because it is too scary for children, German daily tz reported on Tuesday. The troll-like Perchten emerge when it gets dark. The gnarled and gruesome figures stomp through the Christmas markets of Bavaria, making a loud ruckus and sometimes even harassing market visitors. According to tradition, these horned creatures come out mainly during Christmas to drive away winter with loud noises. They are similar to the better-known Krampus, the trollish figures who accompany St. Nikolaus in the region. via Bavarian trolls exiled from Christmas market festivities – The Local. Is there an “Animal” endangering the streets of Bavaria? 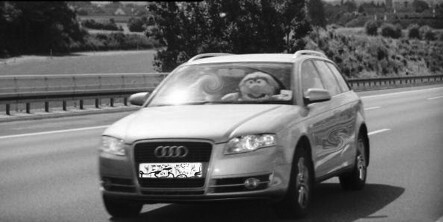 Police traffic cameras recently captured a puppet speeding, but the culprit turned out to be a hot-footed British driver with a sense of humour.